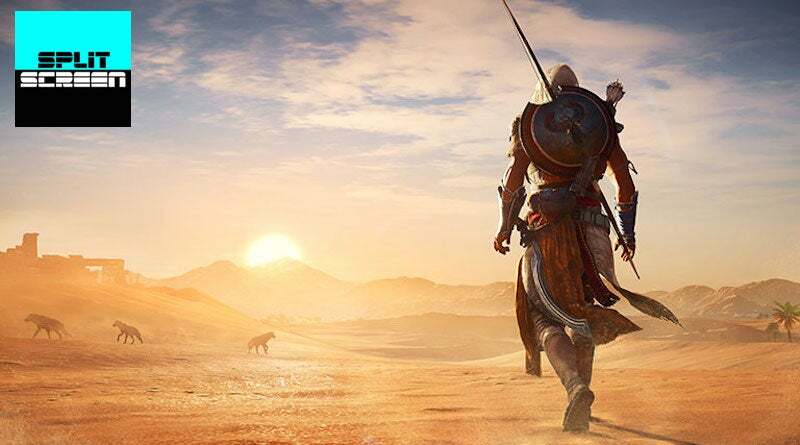 This week, Kirk and I go from July to December, covering this winter's gems (Pyre, Final Fantasy XII: The Zodiac Age) and then getting into the big games of spring, from Star Wars Battlefront II to Assassin's Creed Origins. We talk about loot boxes, visual novels, and our complicated feelings toward Destiny 2. As always, you can find Splitscreen on Apple Podcasts and Google Play. Leave us a review if you like what you hear, and reach us at [email protected] with any and all questions, requests, and suggestions.